As I mentioned in my last posting, Barkers is now open for weekend breakfast so we've popped in after an early morning shop at Victoria Gardens. The menu is concise but there should be something to suit most appetites and tastes. In this piping pot, we find a mix of cannelini beans and spicy chorizo bathed in a thick and rich tomato based sauce. 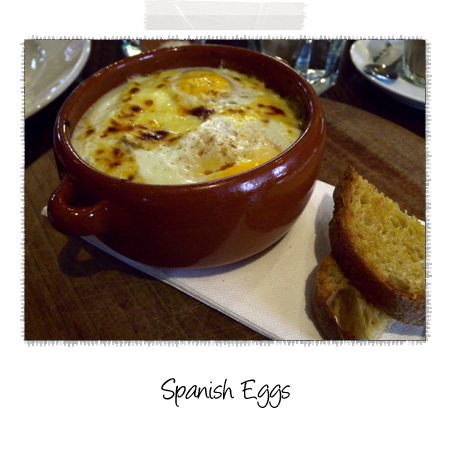 Topped with two eggs it's served with thick toasted slices of bread. 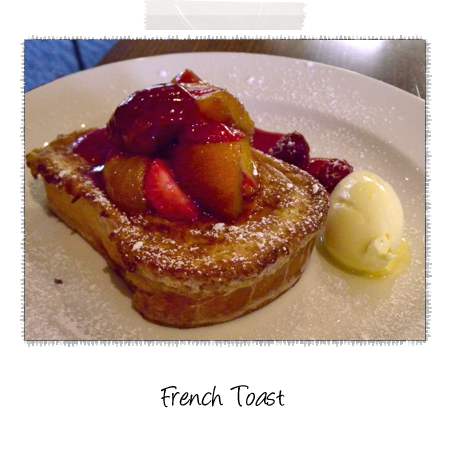 A very thick slice of perfectly fluffy french toast, served with a mix of summer stone fruits and berries. Particularly impressive, three faultless coffees in a row, we could have easily for a fourth round - it's a place where you can certainly linger.